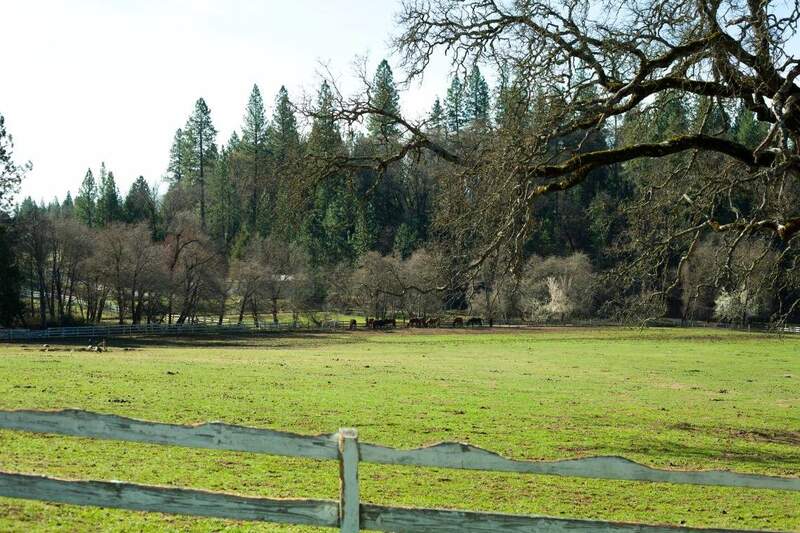 Located in the south western portion of Nevada County and a bit lower in elevation, South County is a great place to find a home. Here, the forests give way to gently rolling, grassy hillsides with the occasional stand of oaks or tall blue digger pines. 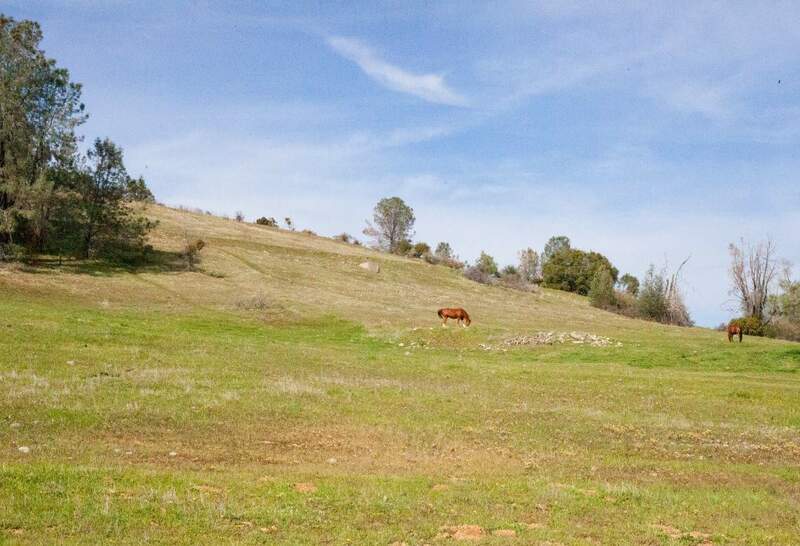 Crisscrossed with plenty of creeks and irrigation waterways this area is perfect horse country. 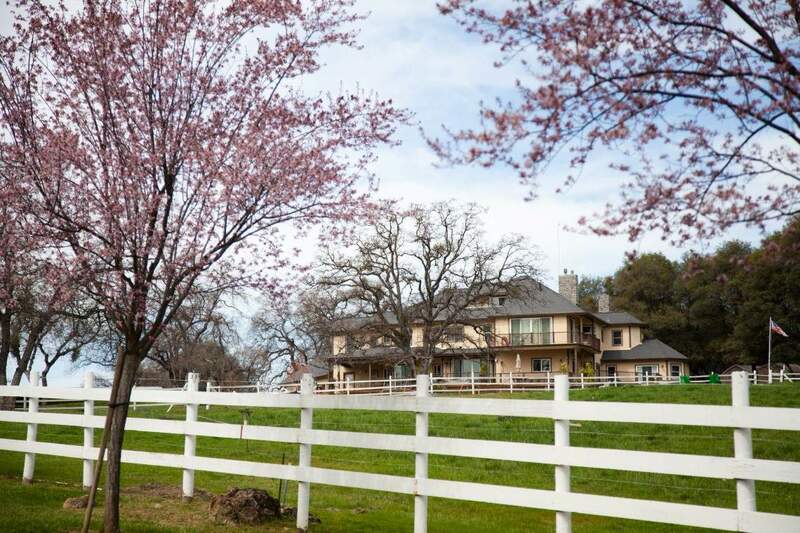 You will find a smooth pace of life, quiet countryside, large gracious homes, ranches and vineyards in South County. For those who enjoy golf and/or lake recreation there is the fantastic Lake of the Pines gated community situated within the South County area. Built around a sizeable, private lake and featuring numerous recreation amenities, this is an ideal choice for retirees, young families and everyone in-between– all in a secured and patrolled community. At about 1700 feet in elevation, South County has a climate best described as “Mediterranean.” In the summer, temperatures are generally warmer than the rest of Nevada County, but this area still retains the advantages of being in the foothills. With milder summers than the Sacramento valley below, you will enjoy afternoon breezes, blue sky and sunshine. In the Winter the weather is also moderate. You are usually above the Sacramento “valley fog,” but there are plenty of cooler days with rain. About once a year, you might even receive a light dusting of snow. It will be a pretty view out the window, but the snow will quickly melt and the roads remain open—perfect! If your dream is some acreage to call your own– a place for your family away from the hustle and bustle of the city– be sure to look at South County. With room between their homes, neighbors are still friendly. You may see them out driving their tractor, pulled over to chat window to window along a country road or perhaps waving from horseback. Meet your neighbor ‘over the fence’ and invite them to your place to enjoy iced tea together on the porch on a summer afternoon. If you like the idea of a friendly neighbors closer by; consider living in a secure gated-community with fantastic recreation built-in and near-by shopping. Lake of the Pines might be the area for you. This well planned development features a fantastic boating lake, fine golf course, swimming pool and beautiful clubhouse, and community events. With easy access to Hwy. 49, you will find young families, retirees and everyone in-between. Many choose to live here and commute to Sacramento for work. Retirees enjoy the advantage of being within the Kaiser Permanente health insurance coverage region. On the weekends, with so much to do right in your own neighborhood, you won’t want to leave home! Younger school-age children will attend one of two award winning elementary schools and one middle school in the Pleasant Ridge Union School District. Both elementary campuses have been named as National Blue Ribbon Schools, and all three schools have been designated California Distinguished Schools. With great community involvement and athletic programs, rest assured that your child will receive an excellent educational foundation. High school age youth will attend Bear River High School which is part of the Nevada Joint Union High School District. This campus with great teaching, academic emphasis and strong athletic programs has also been recognized as a California Distinguished School. For those choosing private education, both Calvary Chapel Christian School (K-8) and Forest Lake Christian School (K-12) are in the neighborhood. Perhaps some of your family are of the four footed, equine variety. When the kids go off to school the horses can stay home to gallop in the pasture. There are plenty of professional trainers, veterinarians, farm stores and award winning ranches nearby, so friendly help with livestock and supplies is always close at hand. In your own neighborhood you will find outdoor areas to explore, horse riding and equestrian lessons for any skill level. When the adults want to get away, there are growing number of wineries and tasting rooms in the area featuring delicious varietals grown right here in Western Nevada County. If a day trip to explore the Sierra Nevada on is on your mind, turn north, on Hwy. 49. Named for the famed 1849 gold rush, it will carry you further up and further in to beautiful Nevada County. Just ten minutes north are the former gold towns of Grass Valley and Nevada City. Now a thriving high tech enclave in the Sierra foothills these towns have not forgotten their past. With great restaurants and main street shopping, situated in charming, historic downtown areas, these towns will transport you back to an earlier era in California. From there the whole incomparable Sierra Nevada opens up to you. Scenic highways lead to all sorts of recreation: gorgeous rivers, state parks, ghost towns, hiking and biking trails galore and, of course, the high Sierra including Lake Tahoe- all waiting for your discovery. If you turn South on Hwy. 49, and head downhill within a few minutes you will reach the historic town of Auburn. Located above the American River at Interstate 80, since the earliest days of California, Auburn has been a gateway town with highway and railroads heading east and west. You may not need to drive any further than Auburn with convenient shopping, including some of the larger stores you need such as Home Depot, Target and Best Buy but also many wonderful smaller business and restaurants in and around old town. Once in Auburn, take Interstate 80 to larger cites like Roseville and Sacramento only a half-hour away, giving you easy an drive to employment, shopping centers and entertainment of all kinds. Properties in the South County range from single-family homes on quarter acre lots all the way to expansive estates and ranches. In fact, most of the parcels in this area are over an acre in size, and many properties suited for horses and large animals are 10 acres and up. Gentlemen’s vineyards are becoming increasingly more popular, and even commercialized wineries can be found. If you’re looking for new construction, the South County is one of the few areas to have an active development being built. Kathy Papola and her team would be pleased to show you the new homes in Cascade Crossing, with packages starting in the mid-three hundred thousand dollar price point. 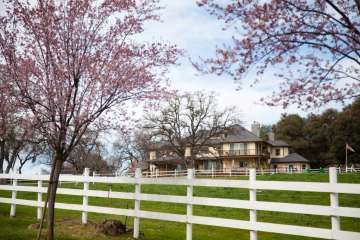 Whereas the largest homes located on ranches and farms are priced up to $1.5M, the average home price hovers around $400,000. These 3 bedroom, 2 bathroom homes typically are built on lots of 3 – 7+ acres and offer square footage between 1,700 and 2,000 square feet. Luxury homes can be found in the Dark Horse development, and lakefront homes or golf course homes are located in the Lake of the Pines community. 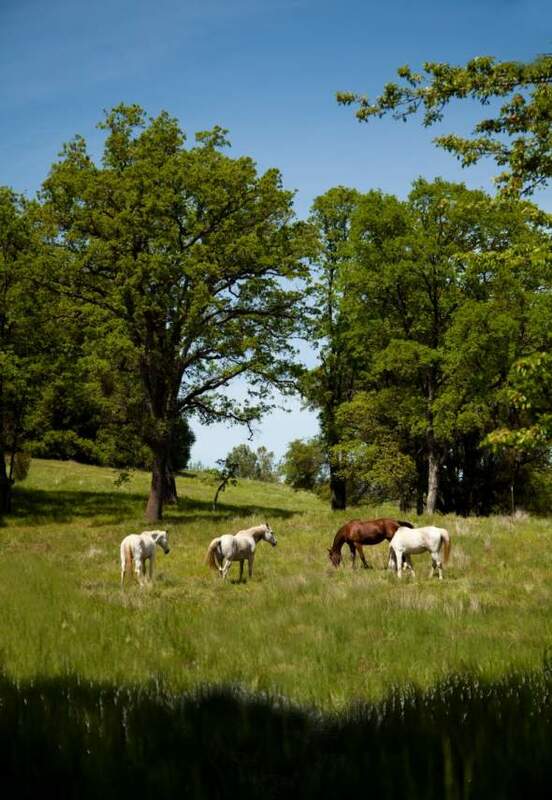 If you’re looking for a home on the range, chances are you’ll find it in the South County area. Don’t let the Auburn street addresses fool you, the properties in this area still fall within Nevada County’s border. Speak to Kathy Papola today to learn more.